Every year as trick-or-treaters trail home on Halloween to tally their loot, writers around the world flex their fingers in readiness for National Novel Writing Month, better known as Nanowrimo, that begins on November 1st. This is the month when would-be novelists churn out thousands of words a day with the goal of creating the rough draft of a 50,000-word novel. National Novel Writing Month was started in July 1999 in SanFrancisco by Chris Baty and 20 of his friends. Although it began as a half-literary fest and half-block party, it has grown into a worldwide explosion of the imagination among 300,000+ aspiring novelists. It is now even a 501(3)(c) nonprofit providing programs such as the Young Writers Program and Camp NaNoWriMo, that empower and encourage vibrant creativity around the world. If you’ve been longing to write a novel or struggling to finish one, here are some very good reasons to join your fellow novelists during NaNoWriMo. You are encouraged to go for quantity, not quality. Here’s your chance to push yourself to turn out that rough draft that every writer must create. At the end of November, you will have a product that will definitely need to be edited and polished before it’s ready for publication, maybe for months later. But won’t it be great to have it done in a month instead of dragging on for years? Your one-month novel will likely be bad, Actually really, really horrible. But no one will ever need to see your rough draft. Write your worst. No one will ever see your rough draft. is the same length as a good novel. Maybe, with attention to the elements of novel writing, you COULD turn a feeble attempt into a publishable novel with professional editing and polishing. Listen to the Chris Baty, founder of NaNoWriMo, share the history and give tips. 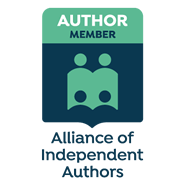 You get tips and encouragement from published writers, industry leaders, and fellow writers. Check out the calendar at http://nanowrimo.org/calendar for this and other exciting events, even virtual write-ins. Although you may certainly write alone, many NaNoWriMo writers gather in coffee shops, libraries and other public places to work on their novels and enourage each other toward their 50,000 word goal. There are 926 volunteer Municipal Liaisons guiding in 633 regions on six continents. Once you join, locate your region to see a listing of meeting places and times. Attend the ones that are convenient for you. In addition to the typical coffee shop meet-ins, my local NaNoWriMo groups will meet on a train, at Disney’s Grand Californian Hotel and even IKEA. Then there’s our write-a-thon, Night of Writing Dangerously in SanFrancisco. The volunteer liaisons are wonderfully creative and energetic as they plan events to make it fun to join in. Some have themed dress-ups days and offer prizes. NaNoWriMo is not a one-trick pony. Have any NaNoWriMo participants ever published their novels? Yes! Over 500+ NaNoWriMo participants have published their books. Here are two you may recognize. Hugh Howey, author of Wool and Sara Gruen, author of the historical novel Water for Elephants wrote their first drafts at NaNoWriMo. You don’t have to change your life, just make writing your focus. Disciplined writers already know they must turn out a certain number of words per day. They do it by making a commitment and fitting it into their daily lives. You can do this too. There is no pressure. You may track your word count on the NaNoWriMo site, but it’s on the honor system. Even if you don’t make the 50,000-word finish line, you will be happy to enjoy whatever progress you make. Just participating is an achievement. Tell me in the comments the book idea you plan to work on. I update and publish this article each year. It’s no mistake that retailers begin pushing back-to-school merchandise months before traditional school openings. They know that capturing customers’ attention early ensures sales and boosts profits. You can get the attention of your target audience also by borrowing two techniques retailers use. 1. Tie your promotions into current trends. Promote your book, service or product as a solution to a trending problem. Tie into trends and observances to promote your book or business. Create promotions to tie your book, service or product to trends. 2. Pair your promotion with monthly observances. In addition to tying into trends, take advantage of the fact that every month of the year is full of monthly, weekly and one-day observances. When you can find a way to share your knowledge, expertise, and skills to help your readers, website visitors, email list, workshop attendees, and readers, you enrich your value and uncover profits you may otherwise have missed. Here are a few ideas for various businesses to get you thinking. Consider writing articles, tips, blog posts, booklets, ebooks, or audio guides that tie into your book or business based on some of the September through December observances that follow. What observances can you tie into your book or business promotion? What are some ways you can use the following observances to capture customer attention in your niche or genre? National Family Sexuality Education Month – Let’s Talk! Discover two proven ways to promote your book or business. Regardless of your genre or niche, tying in your book or business to the trends and monthly observances can capture the attention of your target audience and boost your sales. Which observances have you used to promote your book or business? Tell us in Speak Your Mind. Writing is by its nature a lonely business. We spend our time organizing ideas and fighting back self-doubt, so getting feedback from others can be helpful. Unfortunately, friends and family are not good candidates for this. They mean well, but we need help from other writers who understand the creative struggle. But where do you start your search for an online writers group? Brooke McIntyre of Inked Voices got it right in the introduction of her guest post on Jane Friedman’s blog. Finding a writing group or partner is a lot like dating. There’s an element of searching and an element of matching. You’re looking for people you can share a piece of your creative self with, for people you want to spend time on, for people who can help you become a stronger writer—a tribe or community. So a good fit is important. How do you find online writing support groups? 1. Search on Facebook, LinkedIn, Google and other social media sites using a keyword phrase that represents the kind of groups you seek. Take a screenshot or make a list of your findings. When you search on Facebook, you’ll get a list of pages, groups, and more. Since I was looking for a support group, I could have included “support group” in my search. Instead, I searched for the broader term “nonfiction writers” so I could get a longer list. I got a list of 50+ groups. In the first group on list, you see how many members there are and how many posts are published a day. Also, note that some groups require you to join an association in order to access their members-only group. Since I didn’t include “support group” in my search, some on the list may not be support groups at all. It happens, however, that the Writers of Non-fiction is a support group owned by a book coach and ghostwriter. Under the keyword “nonfiction writers” I got this list of 50+ pages. 2. Visit the groups that come up with the following questions in mind. What’s the background of the group creator?–Is she/he a published author and active in the field? Does the group have rules?–A set of rules help keep the group on task and discourage drifters. How many members?–A group with 10,000 members may sound good on the surface, but group engagement is more important than large numbers. How frequent and valuable are the discussions?–You’re only going to get great help in an engaged group where questions, announcements, and answers are posted frequently. Also, be on the look to see if the questions are from varying levels of experience. 3. If groups sound promising, join as many as you wish. Facebook allows you to join up to 6,000 groups. Once you’ve been approved, you’ll be able to see the discussions. Hover in the groups before participating. You may get a lot of info from answers already shared. Check their archives, videos, and so on to learn from information already posted. If a group doesn’t offer the help you seek, leave. Want more great marketing tips to help you on your publishing journey? get the collection of all 52 as one download with 10 bonus tips. This is the most amazing time in history if you want to write a book. Whether you want to write your life story in your own handwriting to be left behind with your will for your family, or if you long to write a fiction book that will be on equal footing with bestsellers, this is your time. The tools are at your fingertips. Your biggest barrier is you. You fear that your writing is not good enough. Good enough for what, I ask? Some pretty horrid books were forced upon me in college because somebody had decided they were great literature. I survived to go on and write some pretty horrid stuff myself, some of which a few people bought. Who decides if a book is worth reading? Chicken Soup for the Soul was rejected by more than 100 publishers before they found one who would print their book. They still had to create demand for the book, working every day for a long time until their idea caught fire. Walt Disney was fired from a newspaper for lack of ideas. By the time Stephen King was 14, he had received so many rejection slips that they were too heavy for the nail holding them up. He replaced it with a spike. J.K.Rowling’s Harry Potter was rejected by 12 publishers and almost by a 13th publisher, who gave in when his daughter pleaded with him to publish the book. These authors could have been rejected for many reasons, of course, but it’s clear that at some point their writing was not considered worth reading. And yet, once published, they were deemed worthwhile. Since a publisher takes a substantial financial risk in carrying a book to market, it’s understandable that they get to decide if a book is worth reading. Publishers don’t like taking risks. They are like banks who only want to loan money to people who already have plenty of it. If a literary agent is being asked to shop your book around to find a willing publisher, it is the agent who quickly decides if she thinks she can convince a publisher to take on your book so that both of them can make money. But what if the end user, the reader, got to decide what is worth reading. Wouldn’t that be great? That is exactly where we stand now with blogs, ebooks, and other digital products. Because the reader is free to read these types of writing directly from the author, it is the reader who decides if your work is worth reading. Like learning to play the piano, lining words up to convey our thoughts may come easier to some than others, but we all have to practice, refine and hone our writing skills. Who is to say when our writing is good, good enough or great? Writing professionally is a lifetime endeavor, in fact. Every time a published author starts a new book, she is at the beginning again, fighting back fear and uncertainty. Changes in publishing have made it possible for anyone to churn out a book. Some may hawk their work directly to readers to find their audience. But every writer ’s goal may not be to please a big audience or to rake in millions. Take the poems I write every Christmas chronicling the year’s events in my family, for example. My audience is small and they love me. My poems are corny, with forced and awkward ryhme schemes. And yet, if one of my friends fails to receive his poem in a timely manner, he calls requesting it. Since greatness is in the mind of the reader, I encourage anyone who wants to write, to read what they enjoy. Then write what they wish. Then rewrite, read some more, and write some more. If you intend to make your living from writing or will measure your book’s worth by how many copies are sold, then, by all means, you must become a serious business person and hustle. But if you want to write your life story or a publish a book, then by no means don’t let anything or anyone stop you. Write a book you enjoy writing. How do you decide a book was worth reading? Tell us in Speak Your Mind. How did you do at your last book signing? If you’re like many authors, you sold three or fewer books. If you expect to do better than this grim statistic, you’ve got to gear up before your next book signing. No one can guarantee what your results will be, but here are five ways to increase your chances of making a splash and more cash. It’s great to get booked to do a book signing at a bookstore or other venue. It’s likely they will promote your book signing on their websites, newsletters or signs, but plan to your own promotion as well. Many authors are introverts, but this is no time to be shy. Send out your own press releases to local newspapers, preferably directing them to the reporter who handles such events. Send out announcements to your friends, family, email list, your clubs and church, as well as social media fans inviting them to attend your event. Create a blog post or article about your upcoming event. Create flyers and post them at coffee shops and restaurants that allow announcements on their community boards. Create short videos on your homepage, pin to the top of your Twitter feed, or create Facebook Live, Instagram and LinkedIn videos. You may not have control over where your table or booth will be located at the venue, so make it as eye-catching as possible. If you are one of many authors at a fair or festival, you want attendees to spot your display as soon as they walk through the door. It’s tough to sell books to people who never stop by your table. Here are a few ways to make your display festive. Set up a cluster or two of helium balloons that color-coordinate with your book cover. Display your books in a three tier unit rather than lay them flat on the table. Put out a dish of wrapped mints or chocolates for people that pass by. Invest in a tabletop or retractable floor banner. Display relevant posters or items. If your book is about the best places to visit in Paris, be sure to display Paris-themed items/posters. One author of children’s books had life-size figures created in the likeness of her main characters. 3. Use your talents or relevant tools to engage visitors. Set up a short video or book trailer on your computer and let it run throughout the event. Be prepared to pitch your book to people who stop by and ask “What is your book about?” It may be clear to me that my book Color Your Life Happy: Create Your Unique Path and Claim the Joy You Deserve, offers tips and advice on creating a happy life, it is not that clear to everyone. Some people see the word”color” and think it’s an art book. Even though there’s a description on the back of the book, many can’t absorb it in a few seconds. Most of all, people want to know how can this book help me? Be ready to answer that. If possible, take someone with you who can mingle with the crowd and direct them to your table to get a freebie you’re offering or chance to win something. Do you have a special talent such as playing an instrument, making balloon animals, doing magic tricks, juggling? If so, delight visitors to your table a quick demo. Be sure it ties into your book theme, of course. Wear a t-shirt with your book title or get one that encourages people to ask about your book. Warmly greet each person who slows down at your table. Yes, you hope they’ll buy your book, but if they don’t buy at the event, you want them to remember you and possibly buy your book later. I like to stand in front of the table, hand the visitor a copy of my book and ask them to open to any page and read the first thing their eyes land on. Then I ask them to tell me if what they read was relevant to their lives. I want to emphasize that while my book can be read from beginning to end, it also has nuggets of wisdom and encouragement no matter what page you open. Ask visitors to sign up to be added to your email list if they want updates on your work. Take photos with attendees and post on your website and social media after the event. Make your giveaways standouts, not just handouts. A regular bookmark is ok, but one with tips related to your topic is better. The visitor may refer to your bookmark later and share it with friends. Give away a consumable with your contact information on the wrapper. One of my favorite handouts is a customized cover wrapped around a packet of microwaveable popcorn. I give one to every person who stops by my table and inquires about my book, whether they buy a book or not. The wrapper has my contact information and of course the URL to the book. You can customize a chocolate bar or other item in the same way. You will get loads of ideas from Pinterest and Etsy. I put each purchased book in a gift bag or book bag personalized with my book title. People hesitate to throw away bags they believe they can use again. If the event holds a raffle, enter not just your book, but a gift basket or bag with your book as the centerpiece. Attach your business card as the gift tag. The lady who won my gift basket on the right sent me a heartwarming thank you note, citing every gift item that was enclosed. Do think she’ll remember me? When you use these tips at your next book signing, you can expect to rake in more cash, and definitely make a splash. Tell us in Speak Your Mind below what how things went at your last book signing event?